Summer heat is upon us and, while splashing in a pool or running through a sprinkler can be fun, it’s nice to take a day and really immerse yourself in the joy of cooling off. 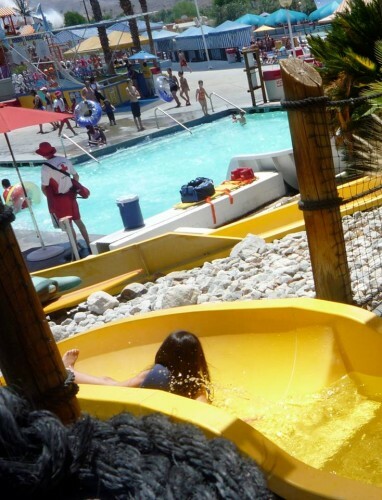 There are water parks across the Inland Empire that are private or government owned, allowing for every way you can imagine to cool off, from sliding down a waterslide, catching a wave in a wave pool or being splashed with 100 gallons of water at a play area. Here are some water park and regional park options for cooling off this summer in the Inland Empire. Rent a cabana or bring a beach blanket and go for a wet n’ wild time! Fire season came in hot and strong last month, and months of low Sierra snow packs were echoed in the tiny touch of snow we got this winter. The drought that has California in a current state of emergency is risking lives, but hasn’t shown much effect yet in the Inland Empire where water usually comes from groundwater sources. This drought has the ability to affect California for years, including the agriculture in central California that brings a lot of fresh vegetables to the U.S. and beyond, Now is the time to learn ways to conserve your water in case of further drought years. The last time the entire state of California was in a drought was fifteen years ago, and this year’s has three-quarters of the state under extreme drought conditions. Governor Brown issued an executive order in April asking for voluntary reductions in water usage for Californians, including car washes, serving water in restaurants only when asked, turning off water features that use potable water and more. Homeowner associations cannot fine members for lowering water usage. Two websites have been created for spreading news and information regarding the drought. Save Our Water , which offers water-saving information, resources, and profiles of homeowners doing their part. 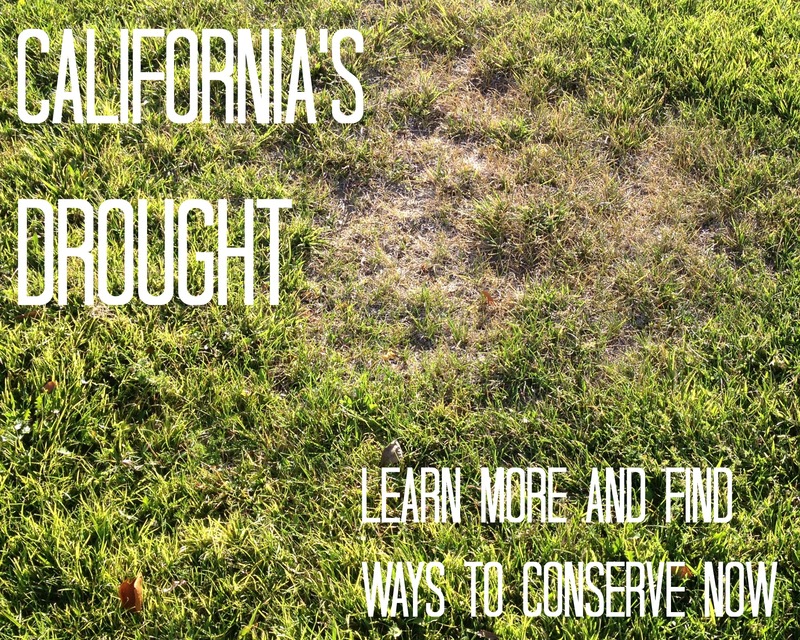 California Drought offers current news regarding the drought, water rights, and emergency measures being taken. Follow along on Twitter and Facebook. Water your lawns 2x a week. I know, it won’t be soft and green, but remember, with the order homeowner associations cannot go after homeowners who are complying with the governor’s request and have more unsightly yards because of it. Take short showers. My friend who spent time in the air force told me they got wet, stopped to soap up, then rinsed off. Having two small children at home showering for more than five minutes already seems like a luxury, but turning on a favorite song and trying to race the clock makes it a little more entertaining. Right now I can be done and dried after Shakira’s ‘Hips Don’t Lie’ and 30 Seconds to Mars “Fantasy”. Have to run the sink for a moment to get the water running? Use a pitcher to catch the running water and use it for cooking, drinking water or even watering indoor or outdoor plants. Don’t let kids run through sprinklers, look for splash pads or community pools to cool off or visit a neighbor with a pool. Flush occasionally the phrase “If it’s yellow, let it mellow; if it’s brown flush it down,” says it all, right? Even if you only do it in your bathroom (kids are hard enough to train, right?) you’ll save a couple gallons every skipped flush. Use drip irrigation systems in gardens. They put water directly on the ground where you want it so plants are efficiently watered. They’re also great for deterring weeds. I recently took my boys to a splash pad – a recreation area with no or little standing water – is a great place to cool off in the summer heat without all the stress of going to the neighborhood pool. A splash pad is something all of the kids can enjoy – from bigger kids to toddling babies. My one-year-old loved to splash in a small pool of water but got mad when his face got wet. My older son loved watching other kids manipulate streams of water and sticking his feet in the fountains in the ground. -Wear sunscreen and bring an umbrella is there is not going to be shade nearby. -Wear a swimsuit to play in the water and consider water shoes. Avoid flip flops that get slippery when wet or catch on rubberized ground. -Please don’t bring the family dog to a splash pad. Not only could a child with a fear of dogs be forced to leave the pad, but even a well-trained dog could get nervous or overexcited around screaming, running kids. -Since there is no need for a lifeguard at a splash pad, keep a close eye on your children. -Wear swimsuits to a splash pad if possible, including swim diapers if needed. 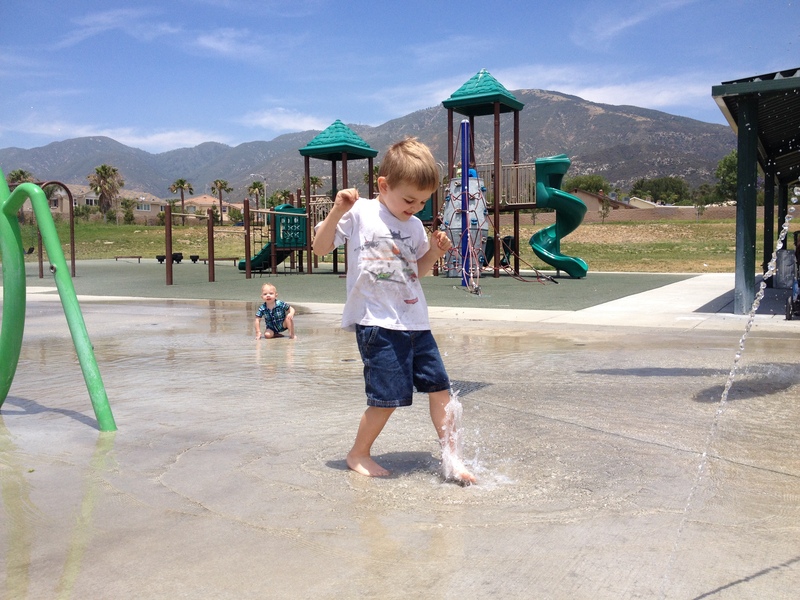 There are many splash pads all over Riverside and San Bernardino counties – from public spaces, regional parks to water parks. 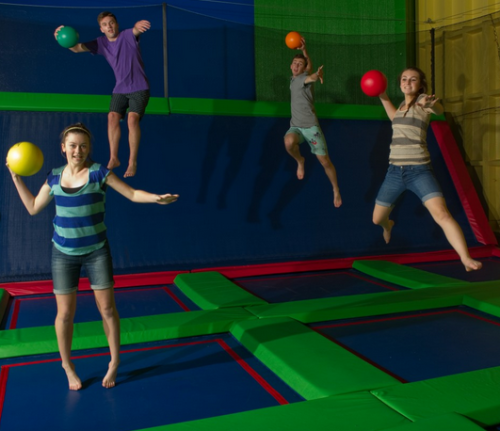 Here’s a list of some you don’t need to pay admission to get you started. 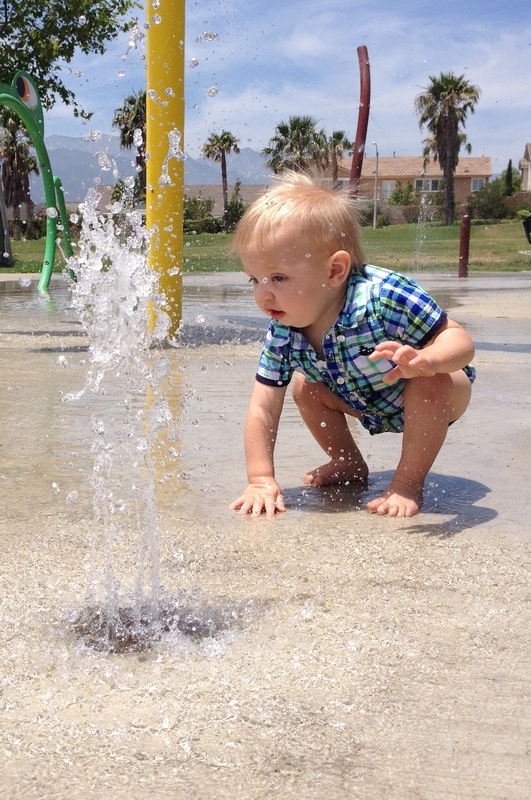 · Citrus Park Splash Pad at Citrus Parkin Corona is open from 10 a.m. to 7 p.m. until September 30th. The splash pad, which features water cannons, leaf-like structures and other ways to play, is near two playgrounds and grass areas for drying off in the sun. · Victoria Gardens in Rancho Cucamonga has a small fountain feature splash pad in the center of the shopping area, close to Bath & Body Works and Ben and Jerry’s. There is a family-friendly bathroom nearby for changing. · Veterans Park in Colton has along with the splash pad has large trees and grass nearby for moms to stay in the shade. There is two playgrounds, other activities and a library and community center. · The splash pad at Tom Minor Park in San Bernardino is right next to a covered area with picnic benches and a playground. However, there are no bathrooms at the park – the nearby Arco station bathroom (by Starbucks) is the closest option. · Lake Elsinore’s Canyon Hills Community Park has a splash pad along with its 18 acres of park activities and sport fields. The whimsical splash pad is walled off and surrounded by umbrellas to keep parents cool.